With so many diverse types and varieties of soup noodles to choose from, whether it be from the Chinese, Japanese, Korean, Thai, I would sometimes go for months without having a bowl of Pho. Not that I don’t enjoy it as much as the other type of noodles, in fact, I find the rice noodles used in the Pho to be among my favorite type of noodle due to its smooth consistency and delicate quality. 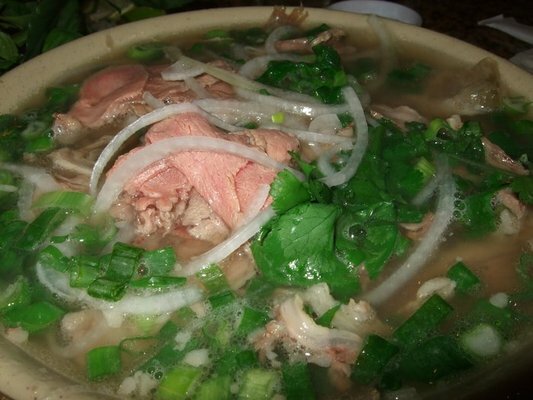 The Special Combo with rare slices of steak, well-done brisket, flank, tendon and tripe is a popular choice here at Pho So 1, since it offers such an assortment of meats in one bowl, and is huge. However, I tend to request for a special order of just Pho with tendon. I adore beef tendon, because of its gelatinous quality and spongy mouth feel. Here, the tendons are cut into rectangular chunks, and there is usually a generous amount. Immediately when the hot Pho arrives, I would put the raw bean sprouts in the soup while it is still hot, so that the sprouts get cooked a bit. Sometimes, I would request the bean sprouts be boiled briefly first before bringing it to the table. After the sprouts are in, I would put in 2 to 3 slices of the jalapeño pepper, a few squeezes of the lime, a dab of Sriracha hot sauce, and I would be all set. Occasionally, I would order the Spring Rolls which comes three to an order. The rice paper skin is soft and pleasurably chewy at the same time. 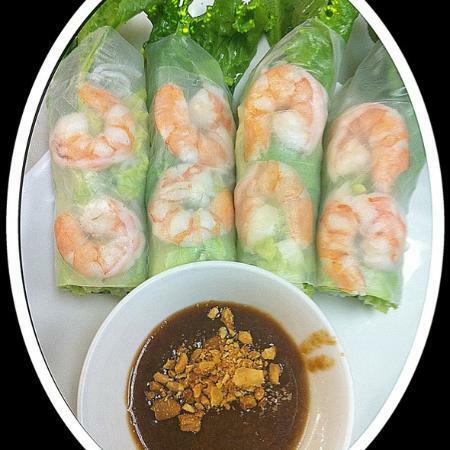 The shrimp, the meat, the rice vermicelli, and the herb inside the roll are all notably fresh, When dipped with the rich, thick, savory and slightly sweet peanut sauce, the roll provides a delectable and exceptionally appetizing side dish to my delightful and soul comforting bowl of soup noodle.